PIC: Store was out of red food coloring. 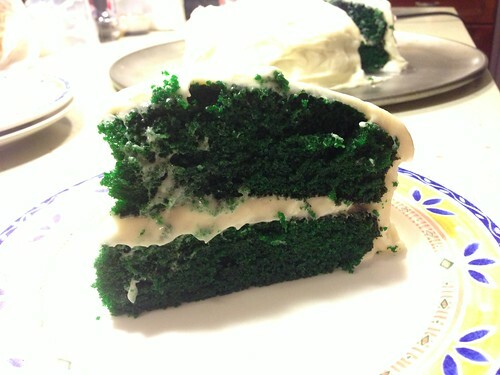 So, here’s our Valentines Day Green Velvet Cake, originally uploaded by @jozjozjoz. Made by Joz & EB for Yoshi.